These FEAS-Accumulator packs with electronic charging regulators are suited to buffer 24 Volt systems. 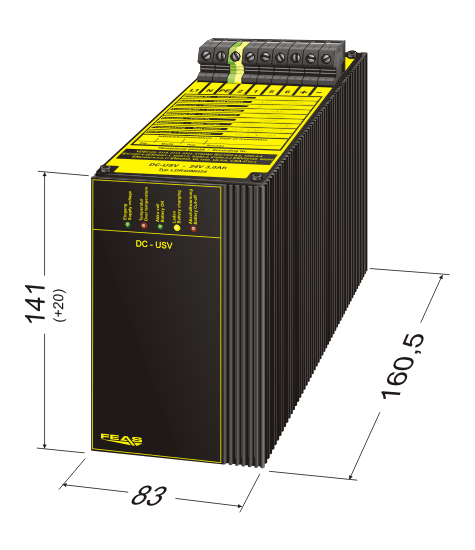 They will ensure the power supply in case of a mains power failure and prevent the loss of your valuable data or the total breakdown of your production line. 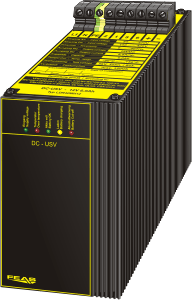 Regardless of for what you will apply the DC-UPS, you will always have the perfect protection against blackouts, which oftentimes can cause high costs.